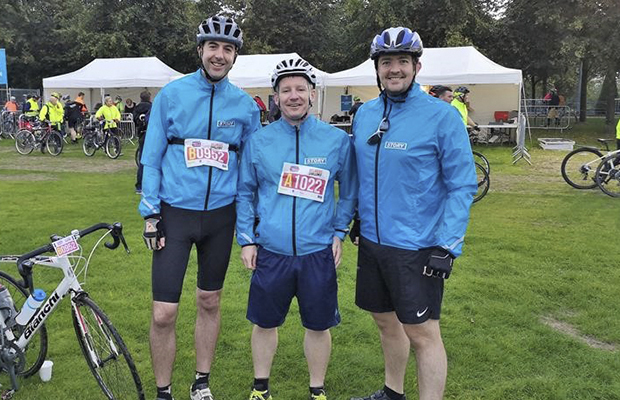 Three employees from Story Contracting’s Scottish division took up the challenge of cycling the 45 miles from Glasgow to Edinburgh to raise money for charity. David Kellighan, Gary Brown and Richard Hensman completed the challenge in aid of the company’s charity partner, the Scottish Association for Mental Health (SAMH). The intrepid trio raised an impressive £1,150 for the charity with more money being raised through a range of initiatives over the two years Story Contracting is supporting SAMH in Scotland and its equivalent in England, Mind. Some minor mechanical issues threatened to sour the occasion but overall it was an enjoyable day for a brilliant charity.